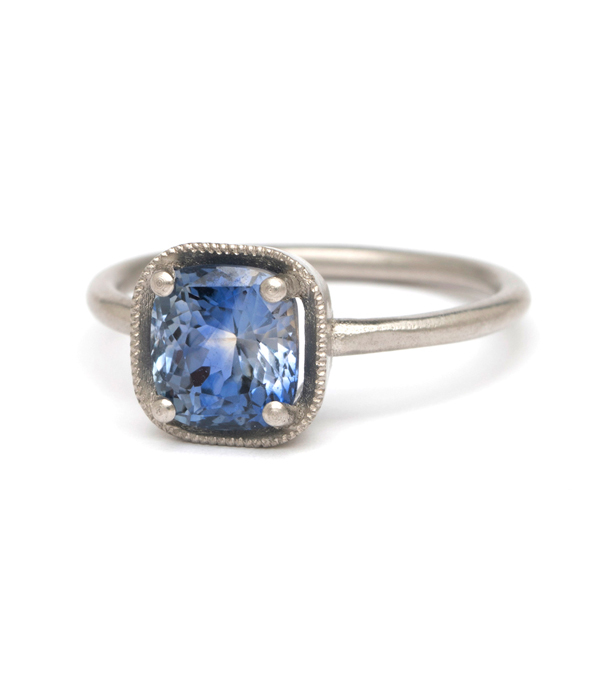 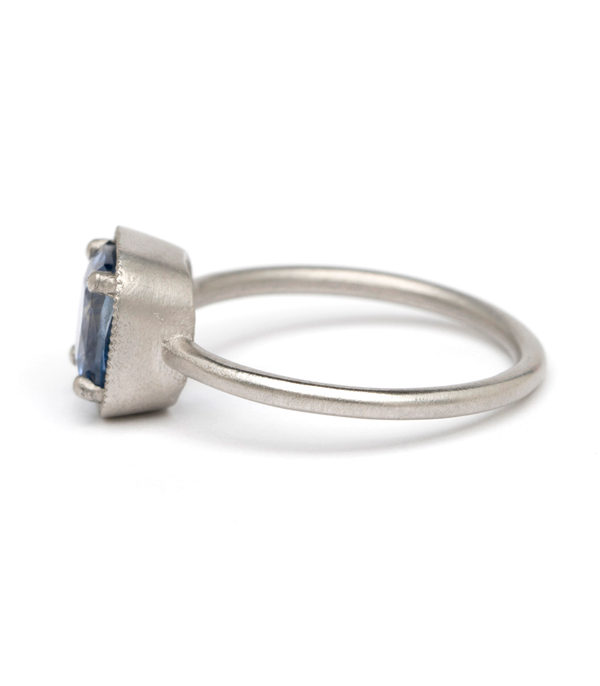 As cool as it is classic, this platinum and bi-color natural sapphire engagement ring was designed with understated simplicity in mind. 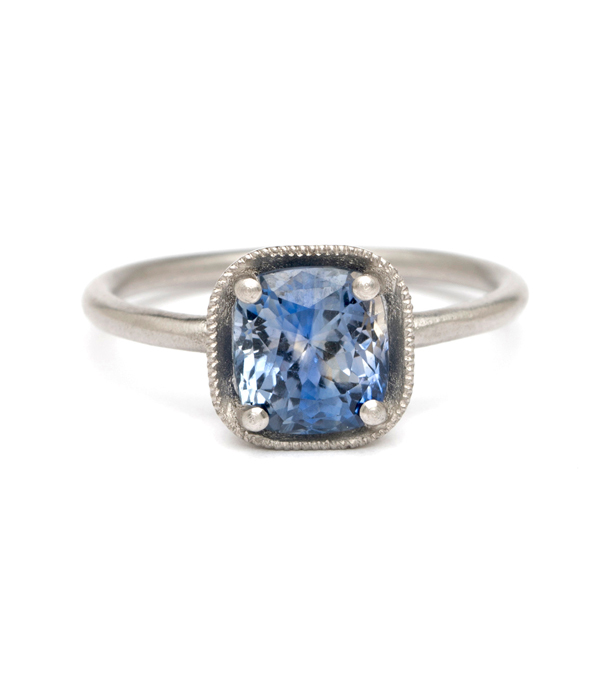 One stunning, cushion cut natural, no-heat bi-color blue sapphire (1.83ct) is elegantly set in a cushion framed setting on a smooth round band. 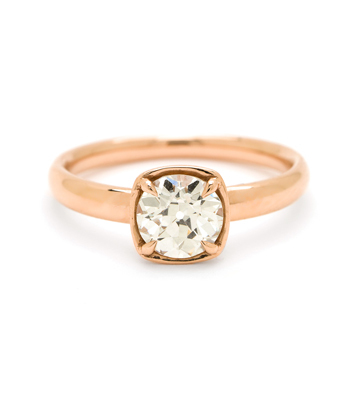 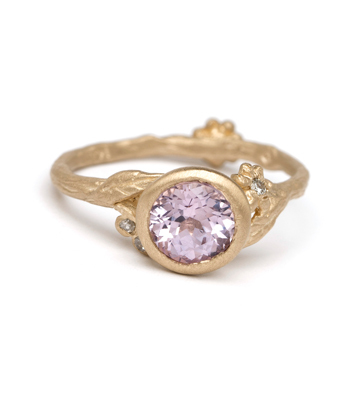 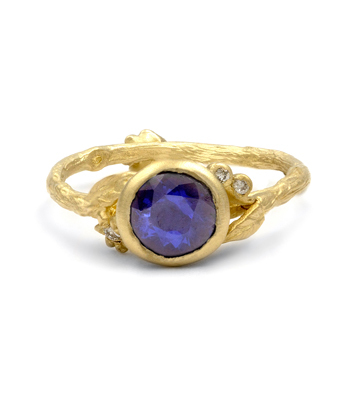 This ring was made for a "Timeless Glamour" bride who appreciates a twist on tradition.